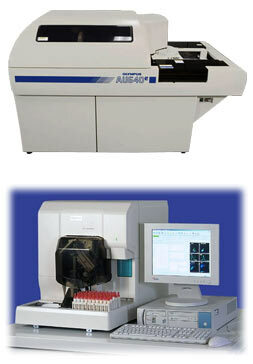 Medical Equipment Recycling - major exporter of laboratory, hematology, chemistry and immunochemistry equipment. Welcome to Medical Equipment Recycling. Have you discontinued using any equipment? Are you paying outside storage fees? Used laboratory and medical equipment only has a fixed life until it has been replaced by newer or less expensive technology. Our business is family owned and operated. The owners are the ones who are handling your transactions. After you have been paid we will arrange removal of equipment at our expense working with your schedule. Thank you for your visiting our website. We welcome the opportunity to work with you on any excess equipment. Please call, fax, or email us for prompt prices.